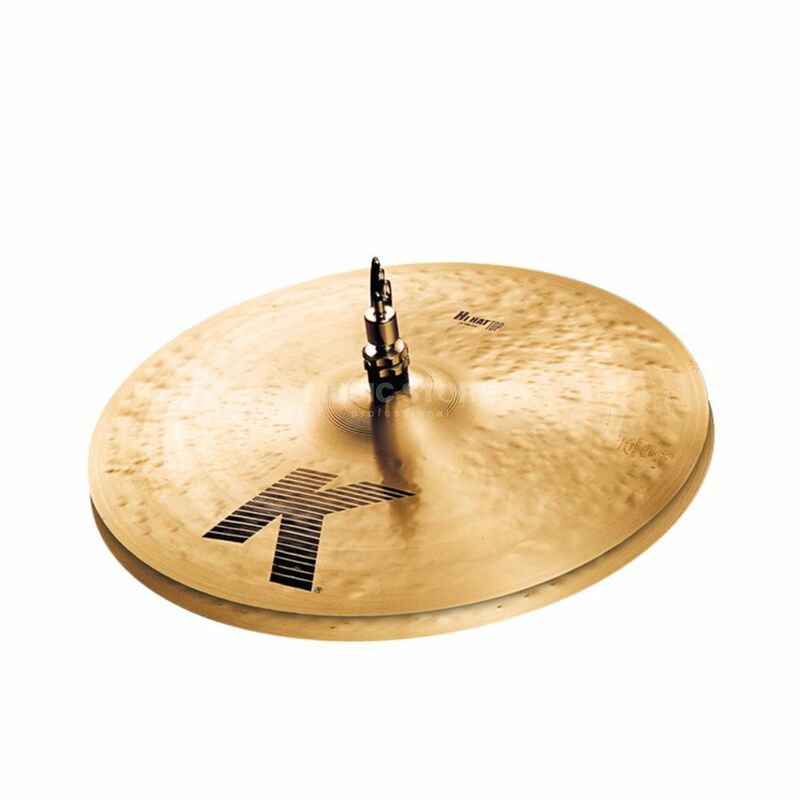 The Zildjian K' Hi Hat Cymbals 14" is a 14" hi-hat cymbal made from a B20 bronze alloy, with a traditional finish. The unique K-alloy as well as the elaborate hammering and lathing techniques make the Zildjian Cymbals very versatile instruments. Depending on the playing techniques, you have access to a very broad spectrum of deep and high frequencies, from mild to intense. This hi-hat cymbal creates a deep and solid "chick" sound that is low-pitched with a fast response.